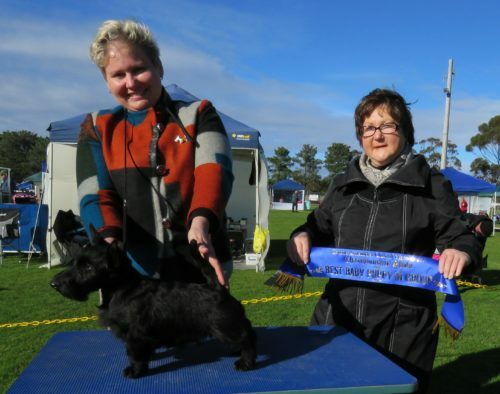 Achievements: Rebel is the second female Scottish Terrier to obtain the Supreme Champion title, her half sister Sassie was the first. Rebel has won Runner Up Best in Specialty Show, an All Breed Best in Show and 12 Best in Groups. At the age of 2yrs she is still very much a playful pup in her characteristics. She is always up for a game or a cuddle. Midway through 2018 she has taken a back seat from the show ring to allow our younger dogs to shine.